Jiri Zejmon, Rudolfova Hut before 1973. 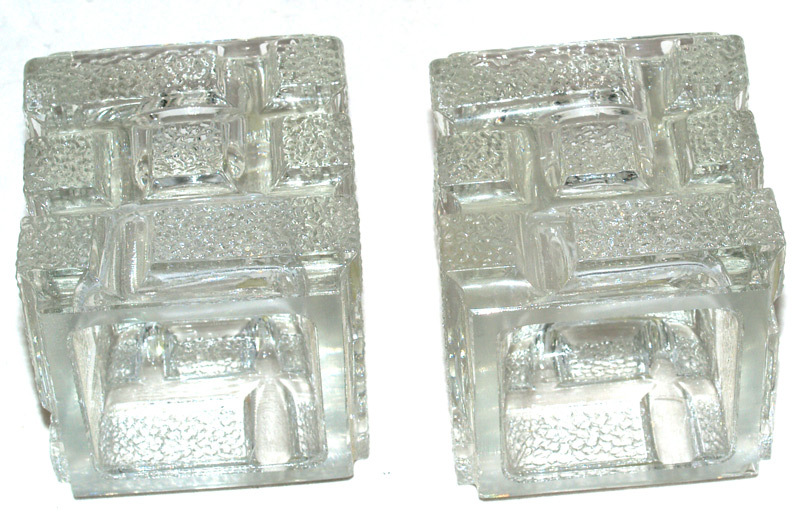 Pattern number 13263. 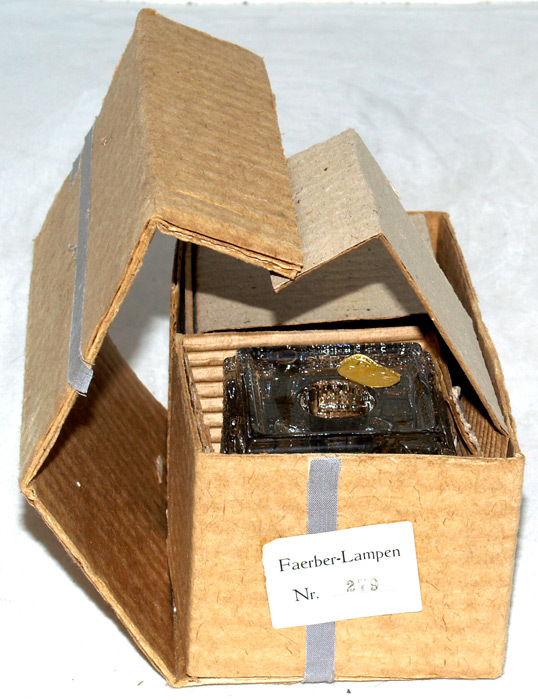 Box label reads "Faerber-Lampen Nr 279", smaller label has pattern number on it. Perfect (one has open bubble on base). Ref Rudolfova Hut catalogue 1986.